Richard Dawkins usually arouses extreme reactions. He is a demigod for many rationalists, atheists and evolutionists. His theories have attracted the ire of creationists. Marxists and socialists argue his brand of abrasive rationalism is blinkered to social nuances. Post-colonialists chastise the scientist for paying short shrift to cultural diversity and social scientists find it difficult to accept his theory of genes determining human behaviour. Some of Dawkins’ fellow evolutionists have found faults in his theories. But most critics laud him for his clear prose and for the lucidity he brings to complicated aspects of evolutionary science. Like him or hate him, it is difficult to ignore Richard Dawkins. His memoir, therefore, is a potential bestseller. 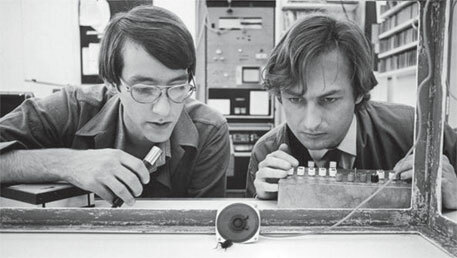 A caveat however—An Appetite for Wonder, The Making of a Scientist is about Dawkins’ early years. Those looking for the controversial Dawkins will be disappointed. 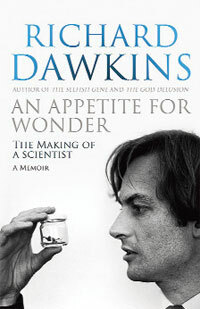 But An Appetite for Wonder has a lot on the influences that shaped Dawkin’s intellectual development. A large part of Dawkins’ childhood was spent in Africa in early 1940s. His parents were enthusiastic naturalists. His extended family included a cousin who wrote about the birds of Burma and Borneo. Other relatives held the post of chief conservator of forests in India and Nepal. Dawkins recalls that his father’s bedtime stories often featured a Broncosaurus, which said “‘tiddly-widdly-widdly’ in a high falsetto.” His mother Jean kept diaries. Dawkins quotes an entry, which describes the young Richard’s love for Africa. “When we got to England (Richard) was quite a sad little boy, and had lost all his bounce. While we were looking out of the ship at Liverpool docks in the dark rain...he asked…When are we going back (to Africa)?" There are also passages where Dawkins thinks he should have made better use of his critical faculties as a child. He laments his readiness to believe that a pet goes to pet heaven upon death. His parents returned to England when Dawkins was not yet a teenager. England was a terrible contrast to Africa. Dawkins was pushed into an educational system where bullying and sadistic punishment were part of the course. The budding atheist balked at having to recite prayers in a “parrot fashion”. Stifled by a system that discouraged critical thinking, Dawkins found solace in observing nature. The scientist, however, thinks his observation powers are nothing to write home about. The memoirs stop at 1976 with the publication of Dawkins’ critically acclaimed The Selfish Gene. The second installment of Dawkins’ memoirs is promised in 2015. This reviewer is looking forward to it.